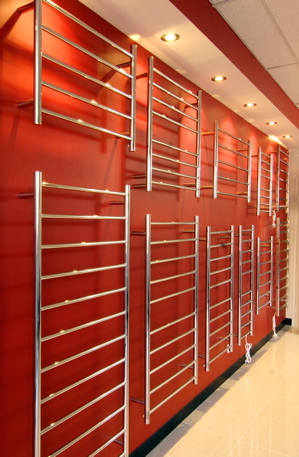 Heated Towel Rails are becoming a very popular and practical accessory for any stylish bathroom. Our own range of Radiant Heated Towel Rails are expertly finished in quality 304 grade polished stainless steel and are available in a wide range of different sizes. Radiant Heated Towel Rails are available direct from stock in Hornsby, NSW and are available with both hard-wire or plug-in options. Please visit our dedicated website www.heatedtowelrails.net.au for further information & prices.